I have to sneak out the front door to take pictures so I don't spook them. 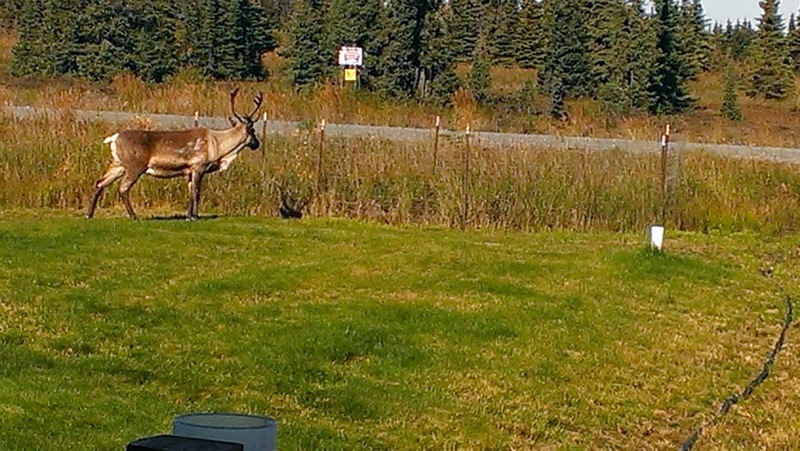 This is a normal size caribou. Here is the group of them. 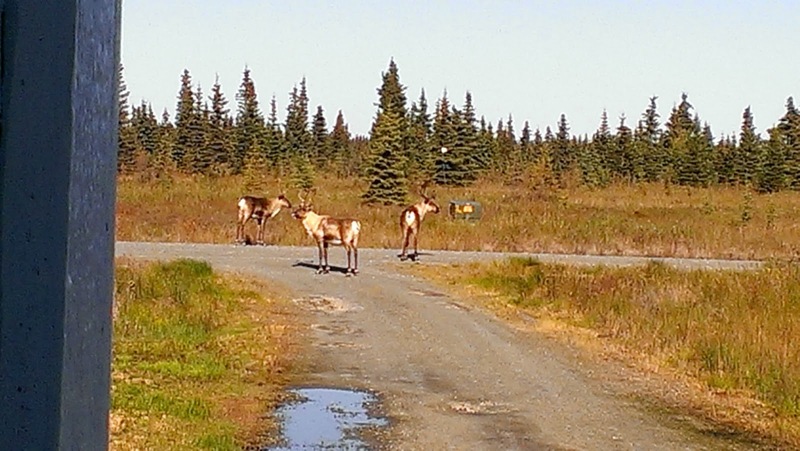 Some of the herds are pretty large with lots of females and one big male, but this is only a couple of them. I LOVE to see wildlife like that. 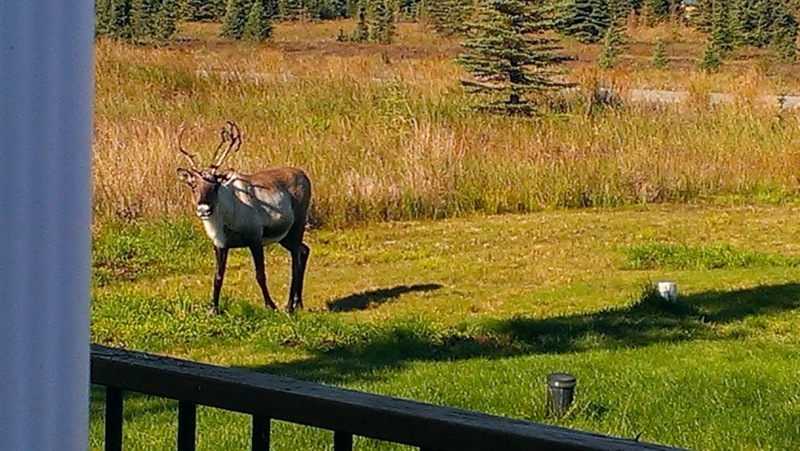 Have never seen a Caribou though. Great visitors!